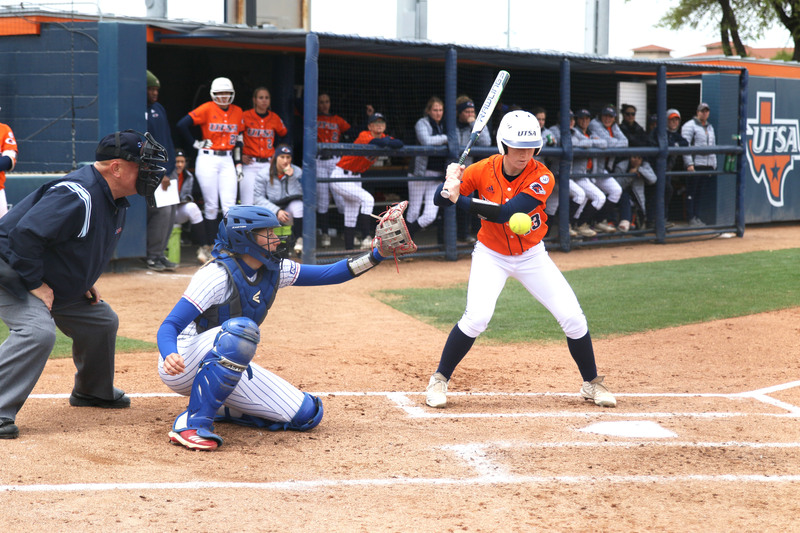 After a disappointing road trip to Huntington, West Virginia, for a three-game set against Marshall University, the UTSA womens’ softball team hoped to rebound in a five game homestand with a double-header against the Brigham Young Cougars and three against Louisiana Tech University. Unfortunately, the Roadrunners brought their road woes home with them, picking up a win over the Cougars and being swept by the Bulldogs, giving them a 1-4 record for the homestand. 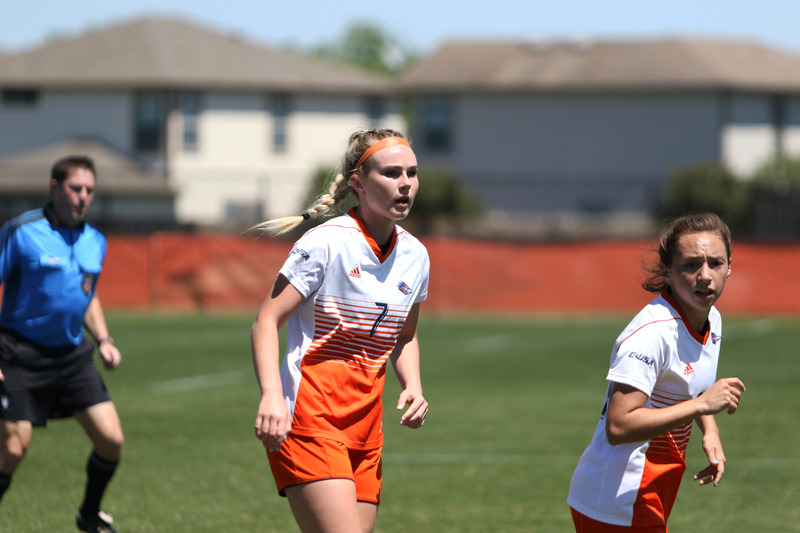 Coming off a split pair against the Cougars, the ‘Runners looked to continue their success against Tech on Saturday, March 30, but to no avail. Despite pitching a complete game against the Cougars, Clarissa Hernandez started against the Buldogs on only two days rest, a decision that would turn out to be regrettable for the ‘Runners. Hernandez struggled through two innings, giving up six runs on eight hits. Following this, Marena Estell relieved Hernandez as pitcher. Tech was not phased by the pitching change, and roughed up Estell for seven runs and six hits in three innings, making the score 13-1. The 12-run advantage was enough to end the game in five innings by run-rule; the first time the ‘Runners had to hit the locker room early since Feb. 28, against Tennessee University. Later that afternoon, the ‘Runners faced off against the Bulldogs again, this time sending Madison Nelson to the mound. She had a solid afternoon, allowing five runs on 11 hits. When Nelson was pulled, the ‘Runners only trailed by a run due to home runs from Riley Grunberg, Victoria Villareal and Madison Washington. However, the bullpen could not keep up Nelson’s performance, and the ‘Runners were outscored 8-2 after Nelson left the game. Hernandez and Estell struggled through the seventh inning, and a ‘Runner rally in the bottom of the seventh fell short, giving the Bulldogs their second win of the day by a score of 13-7. The Bulldogs outscored the ‘Runners by a combined score of 26-8 in Saturday’s doubleheader. The ‘Runners looked for a silver lining in Saturday’s doubleheader on Sunday. Nelson took the mound on little rest after pitching 6.1 innings the day before, and the Bulldogs capitalized, scoring three in the first and one in the second for an early 4-0 lead. Nelson could not finish the first inning. Washington responded with a home run in the second and Bailee Baldwin singled in a run in the third, making the score 4-2. This would turn out to be the ‘Runners last spark of life as the Bulldogs locked down its defense and opened up its offense. Tech laid seven unanswered runs on the ‘Runners, who were run-ruled for the second time in as many days, completing the sweep. The UTSA softball team used three different pitchers in five games that spanned three days. The ‘Runners will face the University of the Incarnate Word on April 3 and travel to Hattiesburg, Mississippi, for a series against Southern Mississippi University. The next home game will be on April 10, as the Texas State Bobcats come to town at 6 p.m.